I wish I could snap to sections created by the clip cube when in true views (ie. Right, Left, Front, Back etc..). I wish that snapping in general while working with the clip cube was better. with optional snapping deactivation ? like they blinking appear when Selection Tool hovers anyway. The clip cube is very useful for examining sections. 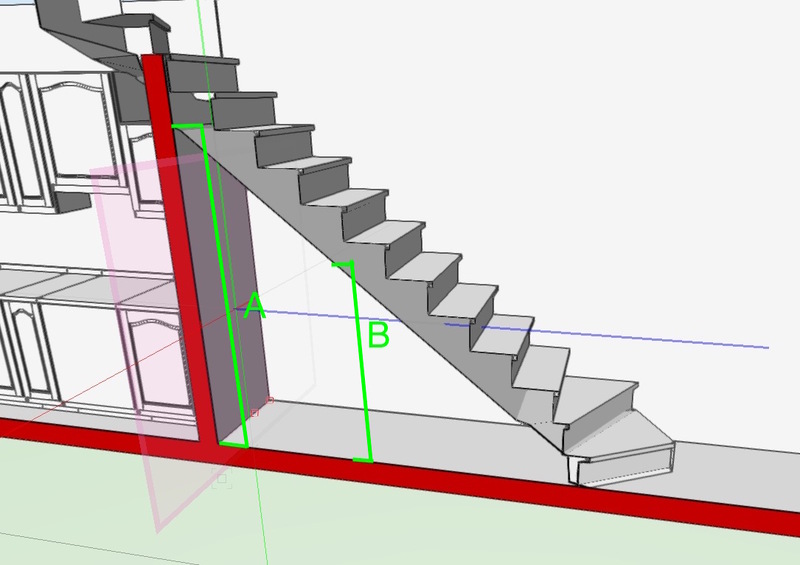 However, I often want to check a dimension... let's say for example the headroom under a flight of stairs at a particular point, like either of A or B in the attached diagram. Unless I'm missing something it's not possible to get the tape measure tool to snap to points or lines that are on the section cut plane. This is very frustrating because the information is all there, it's just not possible to extract it easily. The only way to do it accurately seems to be to make a section viewport, and then measure the dimensions by going into annotation mode. Aha, yes, I didn't see that thread. Bump. Also no change in VW2019. Just looking up this exact issue, so annoying! Come on Vectorworks - Pleeeeease sort it out.